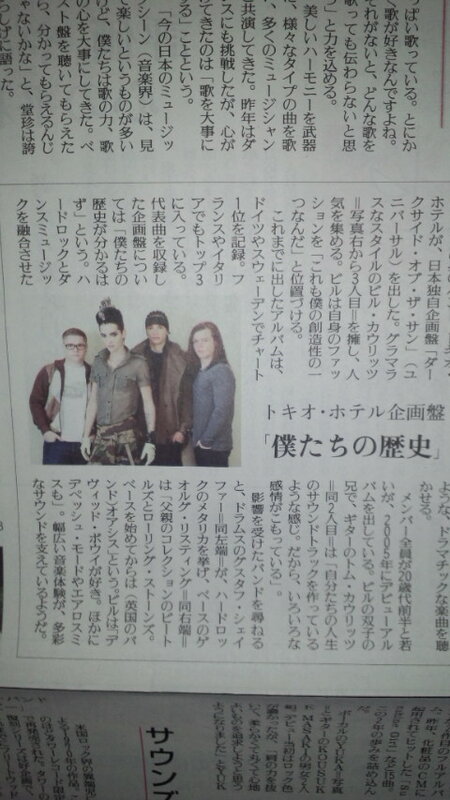 Spende zusammen mit Tokio Hotel an die Opfer der Naturkatastrophe in Japan. Trage die Buttons und zeige Deine Anteilnahme. Such' Dir aus, wie viel Du spenden möchtest. Bestelle die Buttons für 5,- / 15,- oder 25,- Euro und helfe den Menschen in Japan. Alle Erlöse aus dem Verkauf werden an das Japanische Rote Kreuz gespendet. 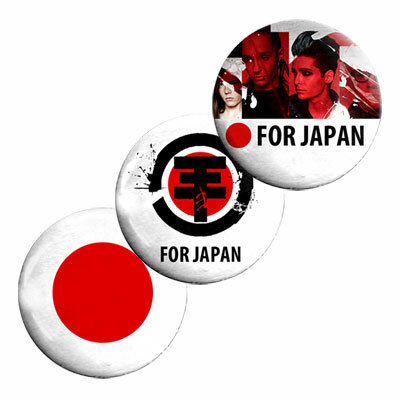 Donate along with Tokio Hotel to the victims of the natural disaster in Japan. Wear the buttons and show your sympathy. Choose how much you want to donate. You can order the buttons for 5,- / 15,- or 25,- € and help the people in Japan. Nach dem verheerenden Unglück in Japan brauchen die Bürger dort unsere Unterstützung. Aus diesem Grund haben Bill, Tom, Gustav und Georg die große TH Button-Kampagne gestartet. Hol Dir jetzt das TH-Japan-Buttonset und der gesamte Erlös geht direkt an das Japanische Rote Kreuz. Je nachdem was du gerne spenden möchtest kannst du auswählen zwischen dem Set für €5, €15 oder €25. Zeige deine Anteilnahme und helfe den Menschen in Japan. ER ist in Deutschland zum Helden geworden. 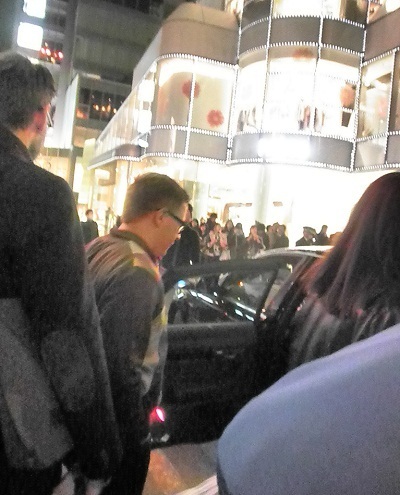 SIE sind Stars in Japan – jetzt haben sie sich in Asien getroffen. 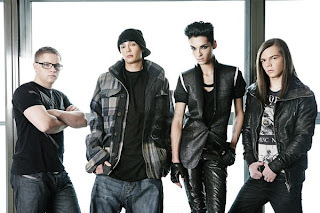 Die deutsche Band Tokio Hotel besuchte Dortmunds verletzten Mittelfeldstar Shinji Kagawa (21). Der kuriert seinen Mittelfußbruch in der Heimat aus. Bei der täglichen Reha (acht Stunden!) war der Besuch der Popstars aus Magdeburg eine schöne Abwechslung, sie sprachen über ihre Erfahrungen im Land des jeweils anderen und luden sich gegenseitig zu Konzert- bzw. Stadionbesuchen ein. 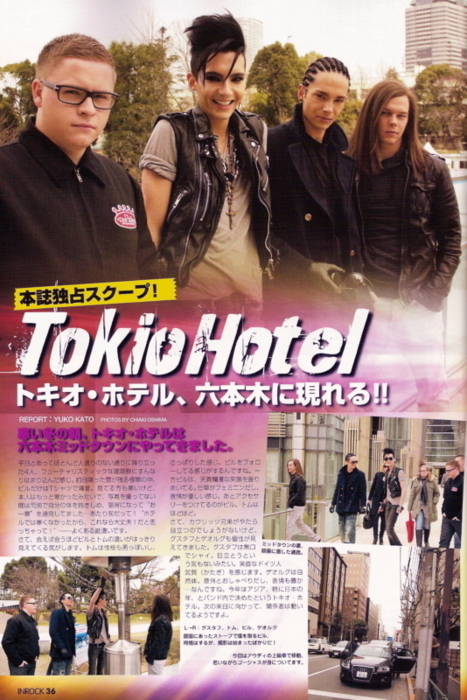 Tokio Hotel waren gerade in Japan, um ihr neues Album vorzustellen. Kagawa hofft auf ein Comeback in sechs Wochen. "Wenn ich wieder laufen kann, möchte ich nach Deutschland zurückkehren", sagt der 21-Jährige. HE became a hero in Germany. 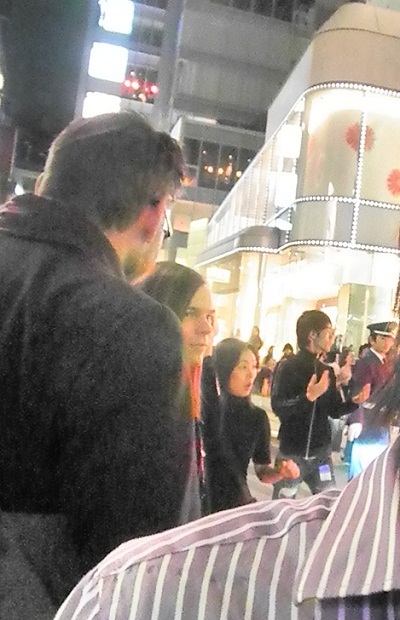 THEY are stars in Japan - now they met in Asia. The German band Tokio Hotel visited Dortmund's injured midfielder Shinji Kagawa (21). He cured his broken metatarsal in his homeland. During the daily rehabilitation (eight hours) the visit of the pop stars from Magdeburg, was a nice change. They talked about their experiences in their respective countries and invited each other to concert- and stadium-visits. 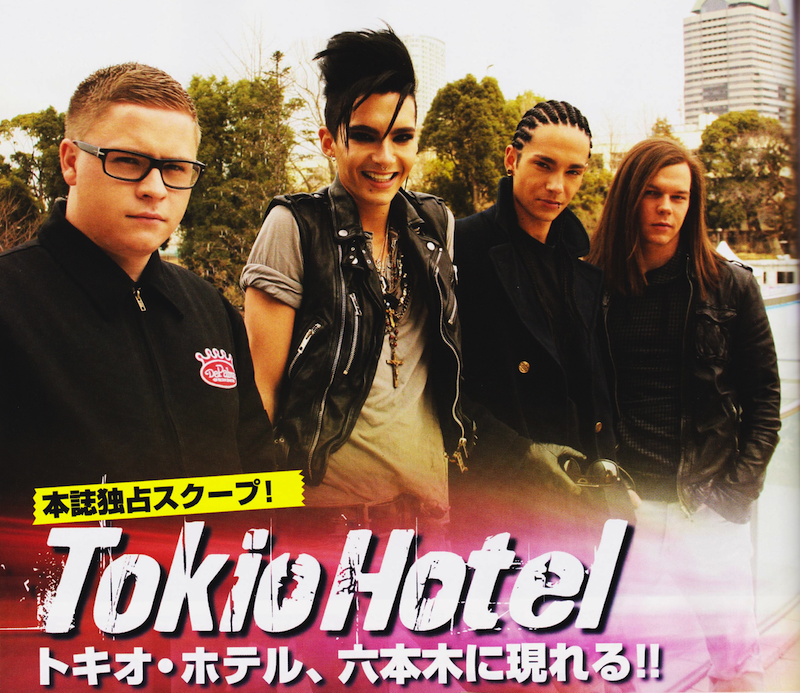 Tokio Hotel were just in Japan to introduce their new album. Kagawa hopes for a comeback in six weeks. "If I can walk again, I would like to return to Germany", says the 21-year-old. Shinji Kagawa ist ein japanischer Fußballer von Borussia Dortmund! || Shinji Kagawa is a Japanese football player from the German football club Borussia Dortmund! 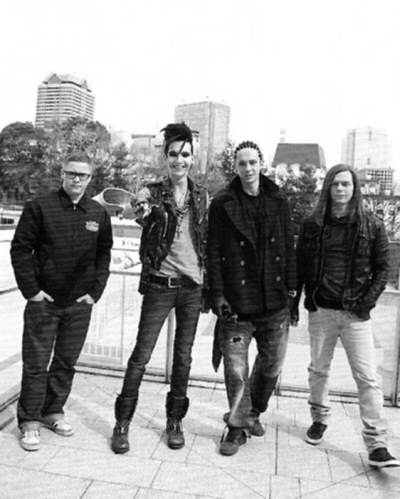 Can we talk about Bill's dressing, do you have some special ways of dressing? 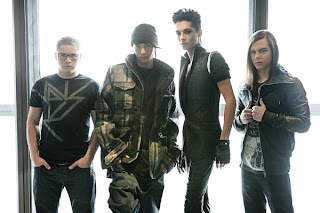 Bill: Take the last tour for example, it came under the influence of sci-fi films. We have discussed it with Dean and Dan, the designers from Dsquared2. They are twins like us, so we can get along well with each other. We want to create a fantastic world, the stage like in other planet, the clotheses with the led lights which can match up the stage were made by them. 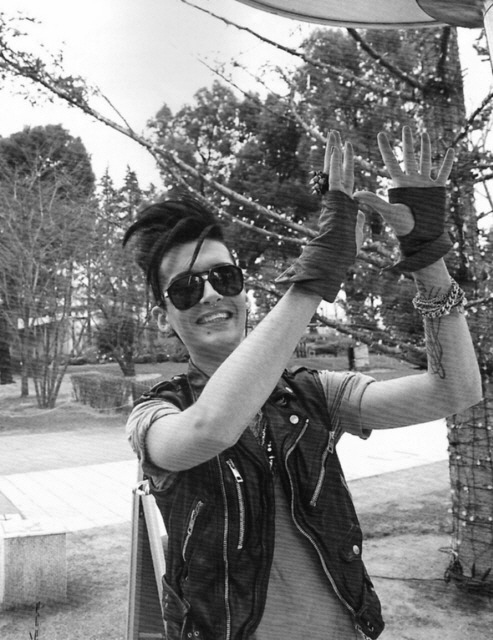 Bill: (shyly) I'm just a dabbler that cannot compare with him. 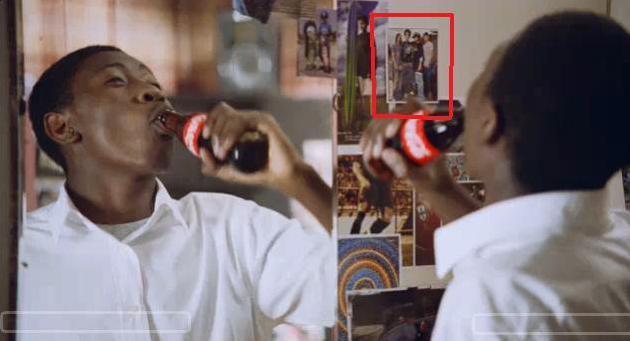 And you just look at those pictures, that people in the 1980s. Their looks and clotheses both looked like that they were from outspace. Tom: Maybe others will think that Bill is monstrous, but when you have seen the old pictures of David Bowie, then you will change your mind. Bill: As a boy but making up and wearing shoes with high heels, however, all these didn't start by me. They had been here before I was born. Really. David Bowie raised a tornado in circle of rock, fashion, and art. Didn't Bill make up because of "Ziggy Stardust", did you? 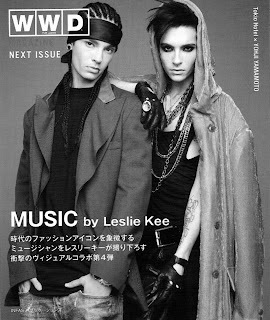 Tom: (nipped in) There were so many bardian bands and singers in 1980s, but there are so many singers have affairs, and there is little bands work at the album seriously and think about how to choose clotheses to suit the stage. They form the band just want to be popular. And what do you think about Lady GaGa? 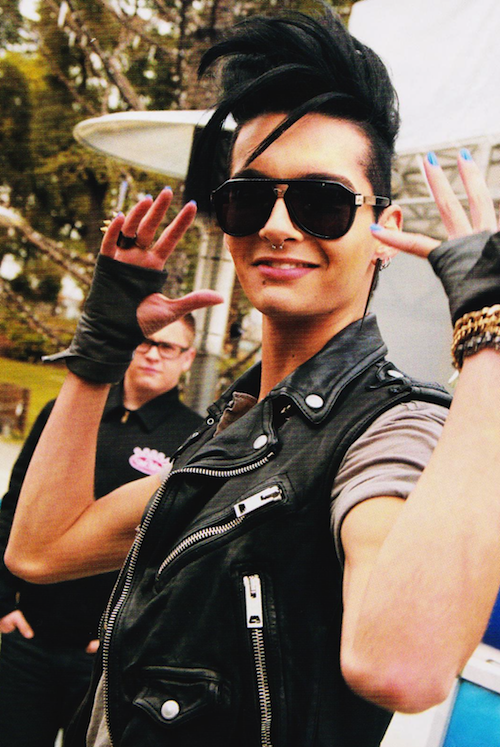 Bill: I like her very much. No matter what she did just on her own style, and no matter how crazy she did, it just well-balanced. Lady GaGa knows what she want clearly, and what she want to do and the visual effects presented on the stage are really nice. I admire her. Do you know Adam Lambert? 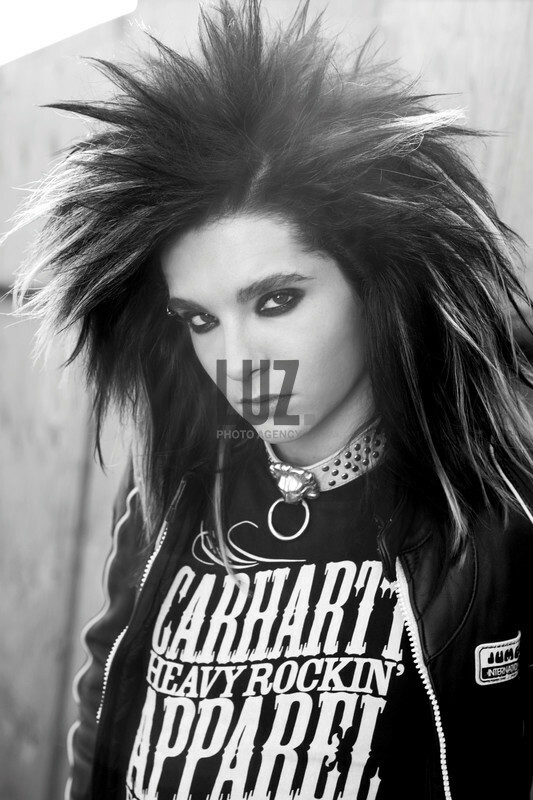 Bill: Hum, I know him. 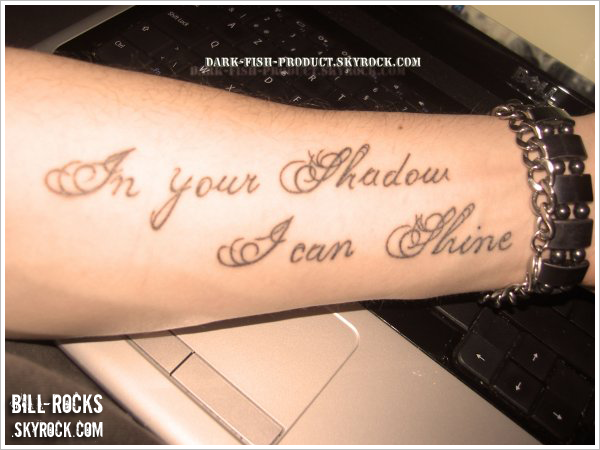 Cause he talked about me in many places. 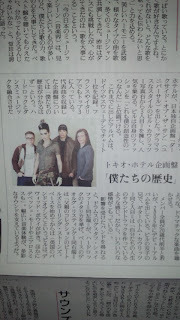 (Adam has said that he's a fan of Tokio Hotel.) I haven't seen him, so I can't say anything about him. 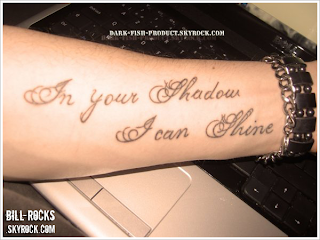 However, I heard his song on the radio. I knew his face from the picture and someone tell me the things about him. But We have never seen each other. 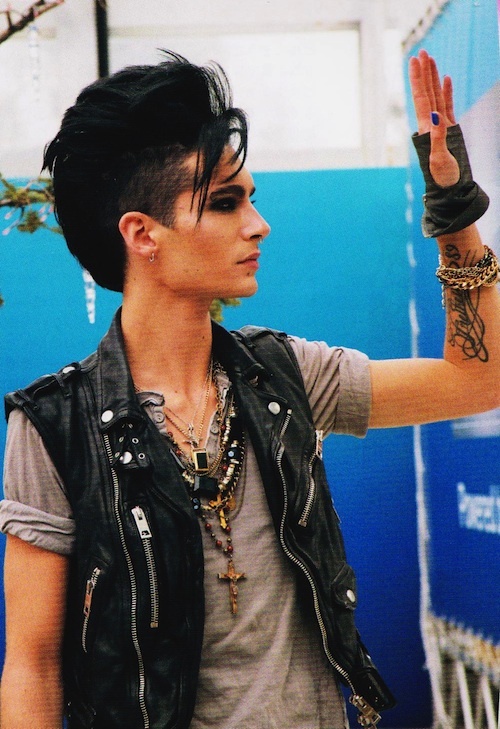 Bill said that he couldn't judge people before they meet each other, I think Bill is very clever. As Bill and Tom are twins, so if you four were brother-german, who would be the eldest brother and who would be the youngest? Tom: (The oldest one is) Me. 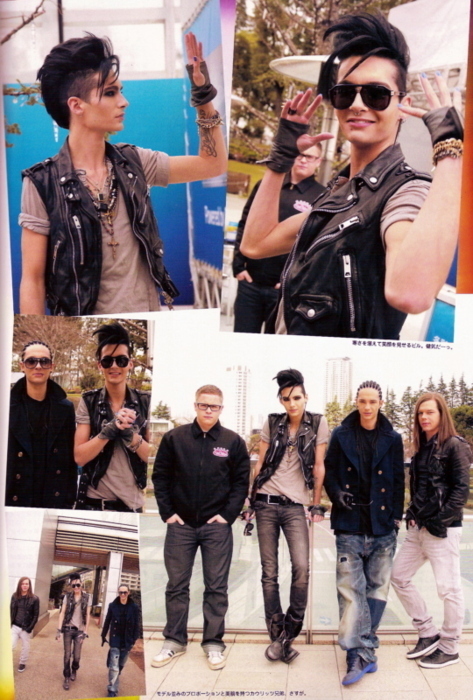 Georg: Bill is the youngest one. Bill: In fact, Georg is the oldest one, but Tom is the most dependable one. 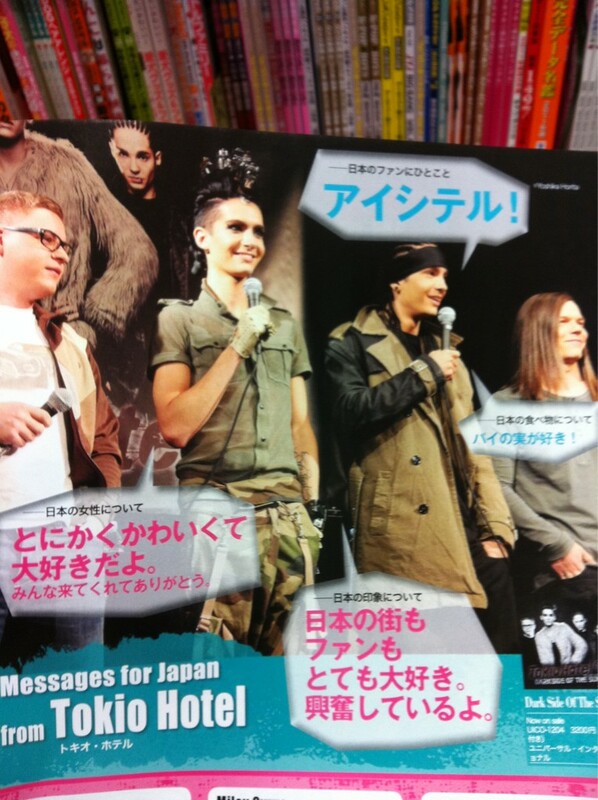 What about the third one Gustav? Anmerkung: Yomiuri Shimbun ist eine japanische Tageszeitung und sie ist die auflagenstärkste Zeitung der Welt. Note: Yomiuri Shimbun is a Japanese newspaper and has the largest newspaper circulation in the world.